I don't wear color often. It's not that I'm scared of it, I simply find it easier to throw on random pieces when I know everything in my closet goes well together. But when I do wear color, it's going to make the outfit. If you're wearing traffic cone orange, try not to wear too many other colors with it. You want to make a statement without giving your eyes a headache. 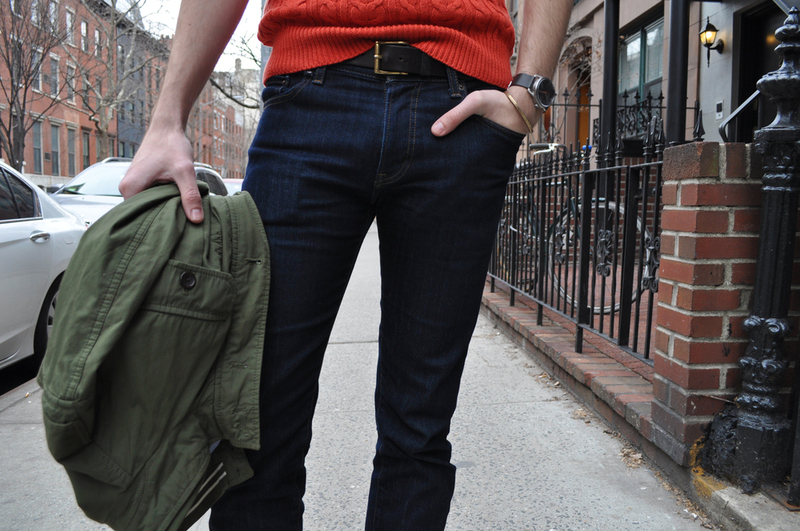 I paired my "rorange" Mango sweater with a simple pair of jeans and my favorite field jacket from Banana Republic. Sunday Funday, here I come!